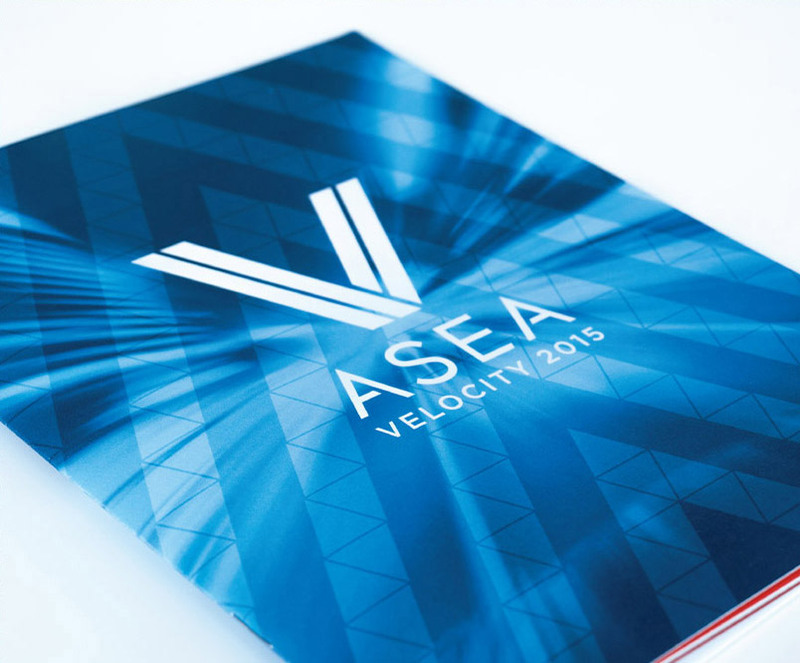 “Velocity” was the theme for ASEA’s fifth annual international convention, signifying a company on the move. It would also be a celebration of the company’s fifth year in business, as well as a tribute to retiring company founder, Verdis Norton. The common thread between these seemingly disparate requirements was discovered and distilled down into a simple yet dynamic “V” symbol. 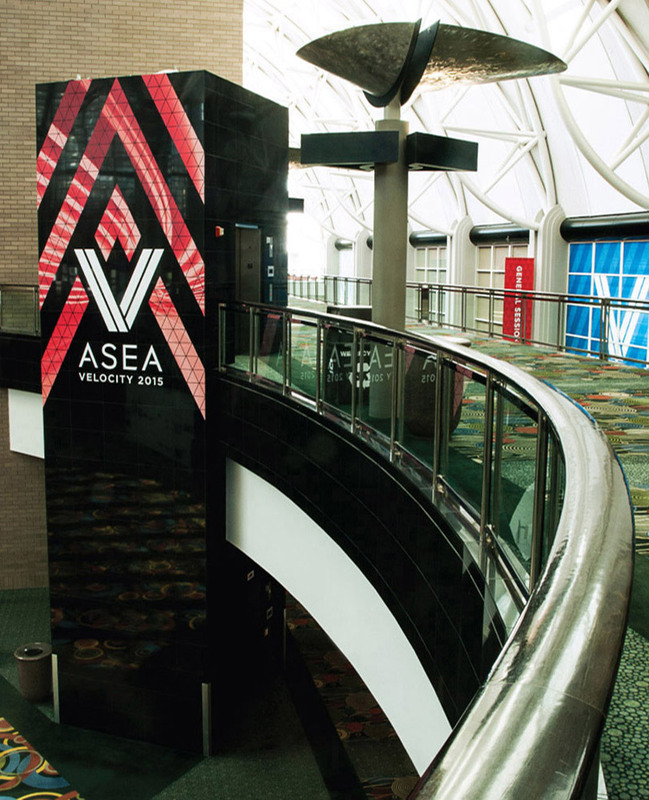 The logo was juxtaposed with abstract motion blur photography, a customizable triangle pattern, and an energetic color scheme. 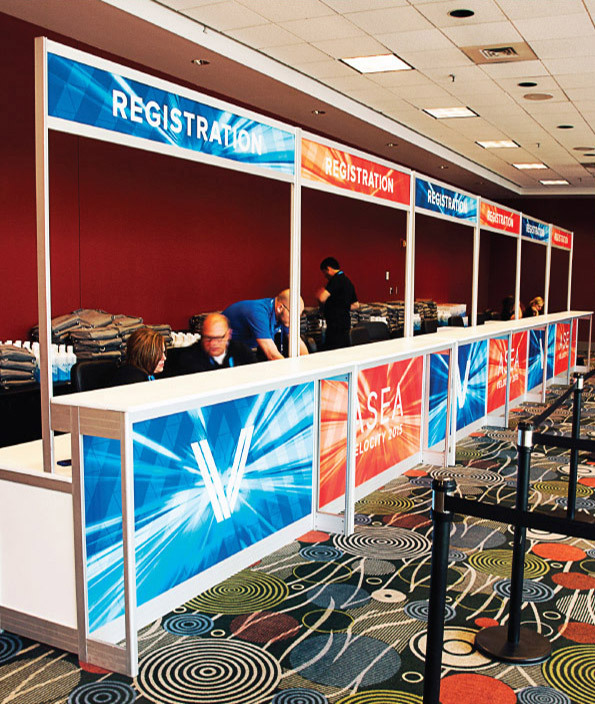 This lively, fluid brand was applied to hundreds of pieces of signage and a variety of printed materials.